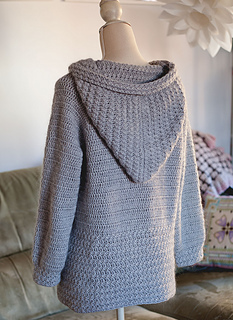 This is a matching cardigan for my Bear Hooded Carding I made some time ago for children. 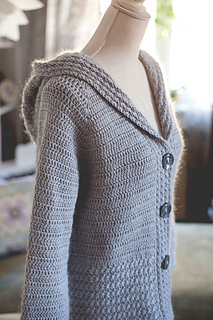 Now you can make matching cardigan for your self as well! It is 100% seamless. Very comfortable and easy to wear. Sizes and finished chest measurements, recommended positive ease: 5-10cm.